Sony delivers innovation across the imaging workflow, from leading 4K and 3D technologies to the very latest in IP conversion capabilities. We offer a wide range of medical devices, from cameras to capture images; monitors, displays and printers to show images; recorders to store images; print media to document images. 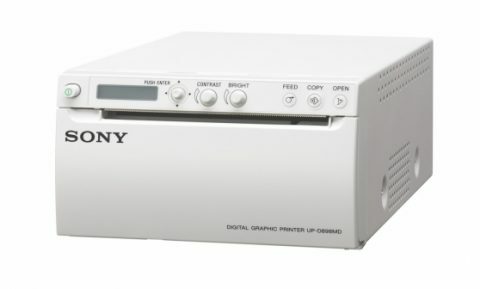 Sony medical printers produce a high quality hard-copy record of still images captured by the surgeon’s endoscopic camera in the Operating Room. There’s a choice of printers suitable for medical endoscopy applications, delivering finely-detailed, lasting prints in media sizes from A4 to A6. 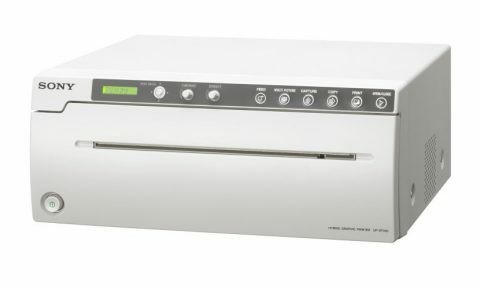 Compact and easy to integrate – Space-saving medical printers take up less space when integrated in an endoscopic cart. Simple, intuitive operation – Ergonomic, intuitive front panel control layout helps ensure positive, error-free operation by theatre staff in the OR during surgical procedures. High quality printing – Every Sony printer draws on more than 30 years of proven experience in medical imaging. 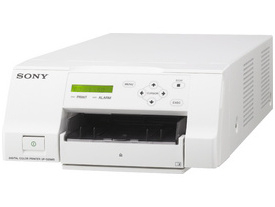 Designed for medical environments – Sony medical printers are optimised for reliable long-term use in modern clinical environments, with quick start up, rapid printing and easy cleaning. Consultants and clinical staff can produce high quality hard copies of ultrasound scans in colour or black and white with reliable, space-saving Sony medical printers. Designed for seamless integration in modern medical environments, Sony analogue and digital ultrasound printers deliver finely-detailed, lasting prints on easily-replaceable black and white thermal paper or glossy photo-quality media with a wide range of printing modes. Light, compact design – Sony printers offer a compact, space-saving footprint that’s ideal for integration in modern ultrasound systems. Direct DC powering from an ultrasound system simplifies installation, with no need for additional AC outlets*. Quick and easy to use – Sony printers are optimised for use in medical environments, with quick start-up and simple, intuitive front panel control. 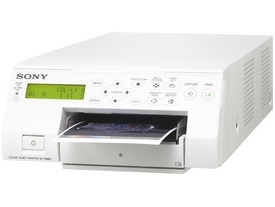 High speed printing – Advanced Sony print technology delivers high quality prints in seconds. 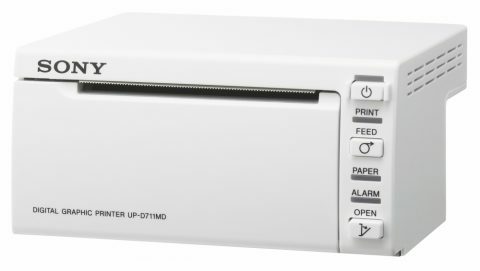 Models such as the UP-D898MD can produce A6-size prints under 2 seconds. Designed for medical environments – Sony ultrasound printers are optimised for long-term use in modern clinical environments, with reliable operation, simple maintenance and attractive running costs. Sony supports radiologists and consultants with a range of reliable, high performance printers designed for smooth integration into modern medical workflows. 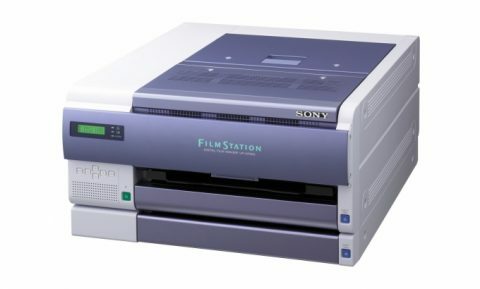 Sony digital film imagers produce very high resolution images to support diagnosis, with a choice of media sizes and high throughput. Space-saving A4 printers produce finely-detailed, lasting images with high speed printing in colour or black and white. Optimised to support modern clinical workflow – Sony radiological printers offer superior flexibility in today’s clinical environments, with easy integration, intuitive operation and a wide range of printing modes. Versatile operation – Radiological printers such as the UP-991AD offer fast, high quality black and white printing from both analogue and digital imaging inputs onto paper or blue transparent film. Diagnostic quality printing – This feature comes as standard with the Filmstation Radiology printers UP-DF550 and UP-DF750, and supports medical staff can analyse prints clearly to work out the next steps in a diagnosis. Mammography support – Our UP-DF750 Filmstation Radiology printer supports medical professionals when undertaking mammography scans and analysing the results. Easy, flexible installation – The compact design of Sony radiological printers allows seamless integration even in space-constrained situations. 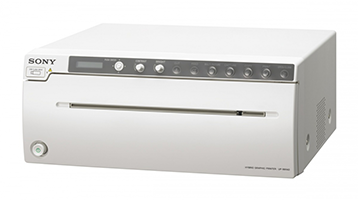 Integration is simplified further by hybrid models like the UP-991AD and UP-971AD that can accept both analogue and digital video inputs. 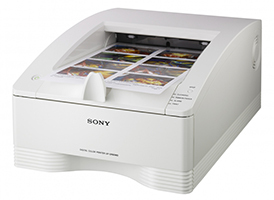 Create a lasting record with genuine Sony medical print media supplies, including laminated colour printing packs, black and white thermal print paper and blue thermal film for radiology and diagnosis. Designed for optimum results with the full range of endoscopy, ultrasound and radiology printers, Sony print media assures the best possible image quality – now and over time. Decades of imaging experience – Rely on 30 years of Sony innovation in medical printing for high quality images to meet the needs of modern clinical workflow. Long lasting, stable images – Sony print media ensures superior, lasting results with enhanced resistance to heat, humidity, curl and tearing. 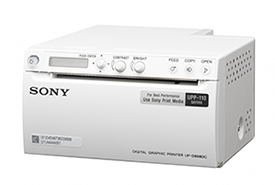 The perfect match for your Sony printer – Only genuine Sony media is specially designed to deliver optimum results with our full range of printers for endoscopy, ultrasound and radiology. Cost effective media solutions for all budgets – There’s a choice of genuine medical print media from Sony that offers uncompromised image quality to suit every budget.